I'll be sharing some of the photos in the next couple of days, so please come back for that. It will be more like my posts from the old days of this blog and that's something that I want to get back to. As I've mentioned in a previous post, I've been taking loads of pictures all during the time when I was studying for school and unable to get here to blog. Now I can share them. Some are quite random and some are picturesque. My collection is a regular hodgepodge, but I've always thought that that was the strength of my blog before...the focus on a little bit of this and a little bit of that. Kind of like my philosophy on life :) It will be nice to get back to what I love again! So today I will share one of my random pictures. 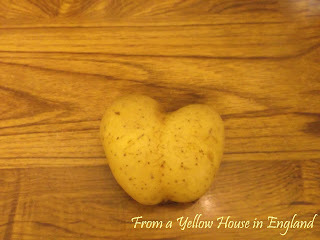 It's a potato that I found in our cupboard the other day. I thought it looked like a heart. What do you think? 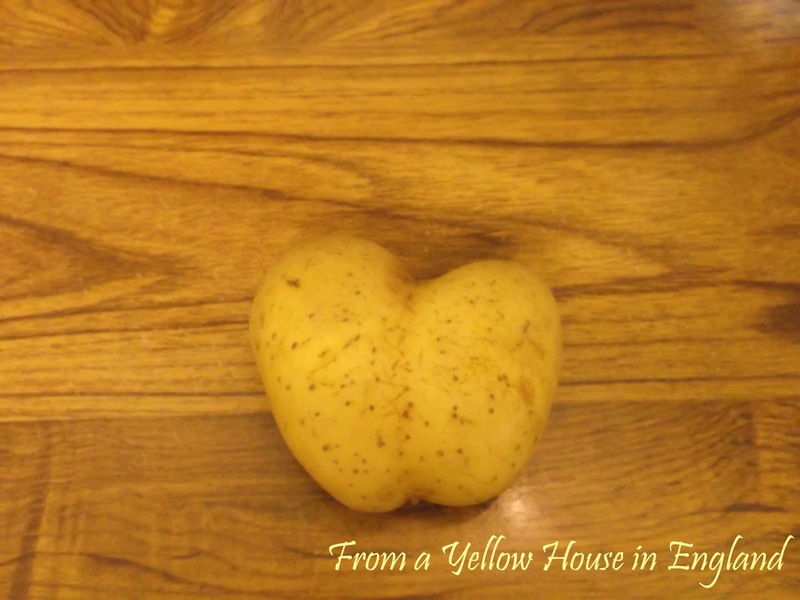 Of course if you look at it another way it could look like someone's backside. LOL. I vote for the heart though. What do you see?